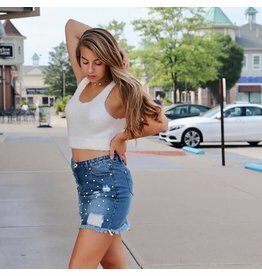 We love this trendy denim skirt with a pearl twist! Dress slacks with some pazazz. Check out the cute gold button detail. This warm corduroy skirt is perfect in this fun black color. FASHION TREND ALERT!!! 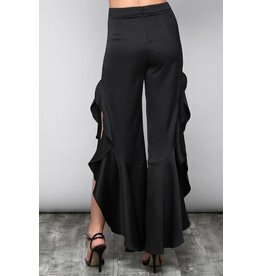 We love these fabulous ruffle fare pants with side split! Perfect for work or a night out! Try it with a colored heel! Classic white distressed jean perfect for spring/summer. This fun soft blue skirt is the perfect transitional piece for spring! 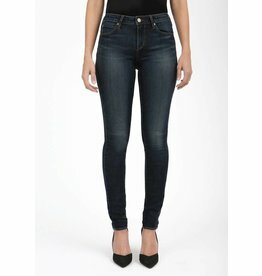 This are a MUST HAVE when it comes to denim. 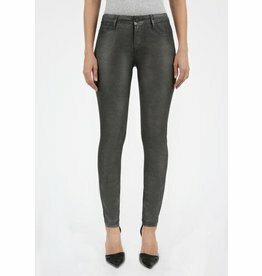 The fit is AMAZING and you will never want to take them off! 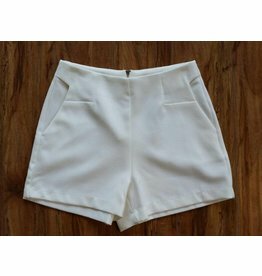 These shorts will be great for the summer time! They look great with everything! 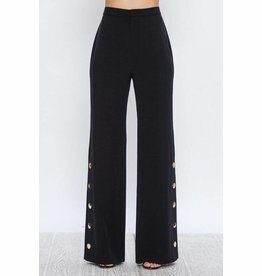 We love the tailored look and can not beat the pockets!